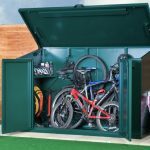 The Garden Bike Locker is a robust metal storage unit that allows you to securely park four bicycles at your home or workplace. 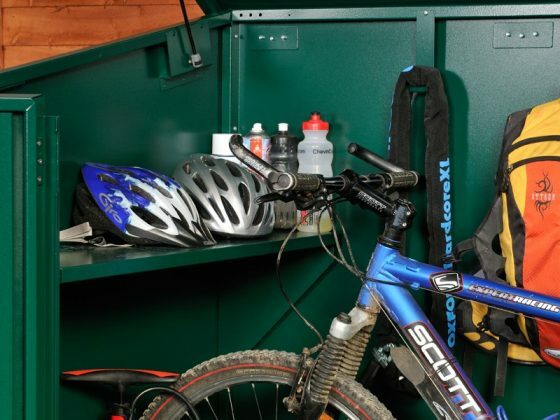 This product is made from thick, heavy gauge, galvanized (weather proof) steel panels and features strong integral metal floor, a large reinforced gas lift roof, reinforced shrouded locking system and double door front access. 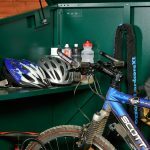 The Garden Bike Locker is a tough weather proof construction and a secure home for your most valuable road and mountain bikes. 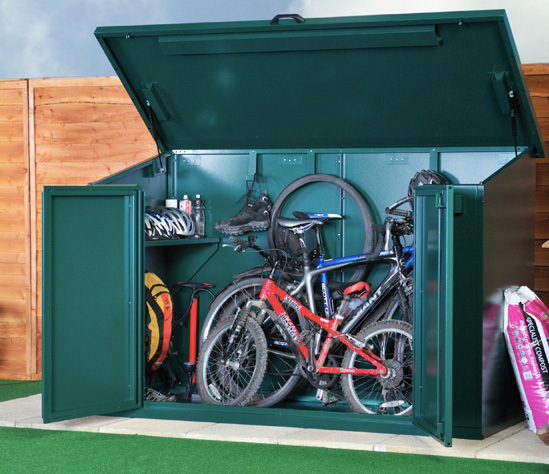 This product does have an internal metal floor – it is bolted down directly to the ground (concrete base).